Scallops are one of the easiest seafoods to cook, and this recipe is as simple as it gets. Add these scallops to pasta or stir-fry for an easy weeknight meal. 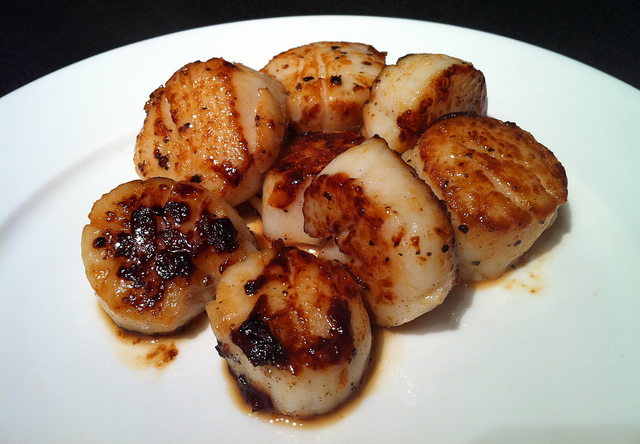 Rinse scallops under cold water and pat dry with a paper towel. Add oil to a large saute pan on high heat. Once oil is heated, gently add the scallops. Sear for 1-2 minutes on each side. The scallops should have a 1/4-inch golden crust on each side while still being translucent in the center.